Phoenix Limo Buses has amazing luxury vehicles standing by your use, 24 hours a day, 365 days a year. 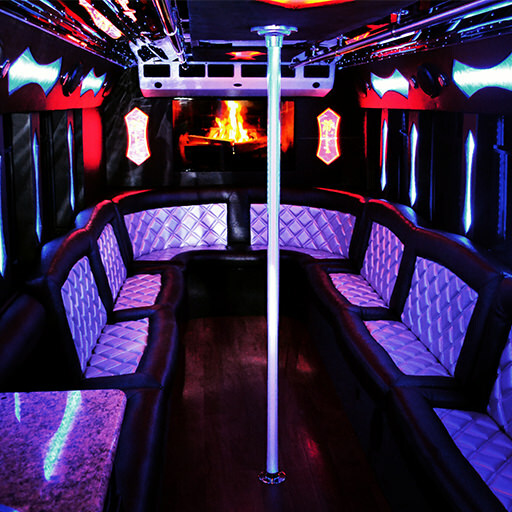 Our party buses and limousines have gorgeous interiors that will blow your mind! We put a major focus on customers and their needs. We wouldn't be here without them, so we treat them right. Our number of repeat clients is a testament to that. And let's face it, who can argue with the area that you will be exploring. The Phoenix area has so many things for you to see and do. And we know that you are not going to want to miss special destinations like the Heard Museum, the Pueblo Grande Museum and Archaeological Park, the Bitter and Twisted Cocktail Parlor and Camelback Mountain just to name a few. Just make sure that you are riding with us when you visit these unbelievable venues because we will take your experience to new heights. Each vehicle features flat screen televisions, amazing audio systems, AM/FM/CD/MP3/DVD capabilities, color changing lights, custom leather seating, and so much more! You will definitely be satisfied with what we have to offer. Enjoy VIP treatment all night long by everybody you encounter. 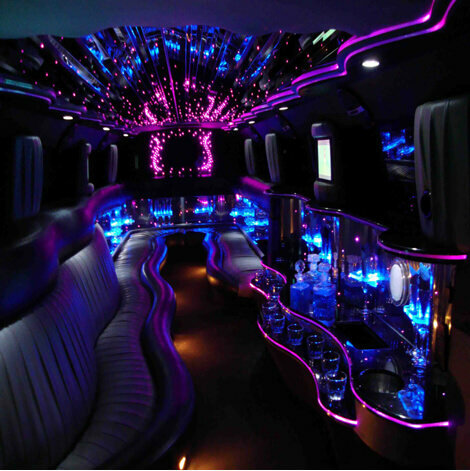 Our party buses and limousines are definitely the best and most luxurious way to travel throughout the Phoenix area. and believe us, there is no other way to travel when it comes to luxury and entertainment. Many people think that carpooling would be an acceptable solution. We beg to differ. Think about it, by choosing to carpool, you will be breaking your group up from the very beginning. These smaller groups will be crawling into cramped vehicles which will then fight traffic and search for half way decent parking at each destination. Everyone will then have to come together again. This process will repeat itself over and over again. And because you will have to designate drivers, a portion of your group will not be able to partake in their favorite libations. This doesn't sound like a lot of fun to us. By riding with us, your entire group will be together for the whole experience, get to play with the amazing amenities we have installed and experience the convenience of being dropped off right next to each venue as well as picked back up at the same place. Now you can see why we are the best choice for your plans. Please take some time to browse our website in order to learn more about Phoenix Party Buses and our service. You will read about our vehicles, pricing, answers to frequently asked questions, our service area, and more. We suggest that you have a notepad and pen nearby just in case a question or concern crops up. When you feel that you have gleaned as much as you possibly can from our website, it will be time to contact our customer service office. Our affable and well trained customer service agents are available 24/7, 365 days a year for your convenience. Our specialists love talking about what we do and fitting groups to the perfect vehicle. We promise you that we will never pressure you into making any kind of decision. If all you want to do is ask questions or talk about your concerns, we will be happy to do that for as long as you need to. If you have any further questions, just contact us any time. We have booking agents standing by to work with you. They can also help you with out of area party bus service. And when you do feel like you are ready to take the next step, one of our agents will be able to walk you through the easy and painless booking process. We are excited about the possibilities and we hope you are too. We look forward to hearing from you soon. 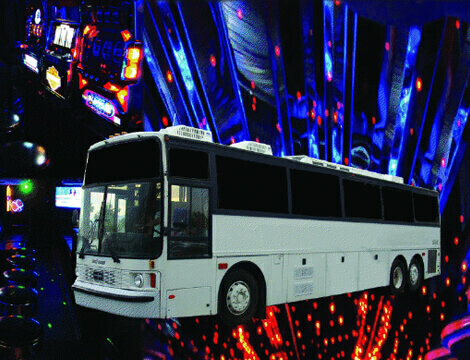 Check out New York City Party Bus for service in the big apple. For the windy city look at Party Bus Chicago. If you head down to Florida be sure to visit Ft Lauderdale Party Bus for one of the best services there. Many people ask us what makes our company the best in the luxury entertainment transportation industry. There are actually several reasons. First and foremost, we only acquire the highest quality vehicles. After a vehicle is in our fleet, we then install some phenomenal amenities and features. Safety is also a huge concern for us because we want to make sure that our customers not only have a blast but also make it home in one piece. With this in mind, we have certified mechanics on staff who regularly inspect and maintain our entire fleet. What this means for you is that the vehicle you are interested in wil be ready to roll when you need it. It also means that you will not have to worry about being stranded on the side of the road or missing any of your destinations. Our company also hires professional detailers who meticulously clean every inch of our interiors between uses. This means you will be stepping into a pristine environment. We also only hire experienced and certified drivers who know the area roads really well. All of our vehicles are equipped with GPS which means that you will not have to worry about getting lost. Now you know why we are the best of the best.